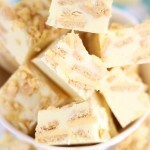 This fudge is ready in sheer minutes! 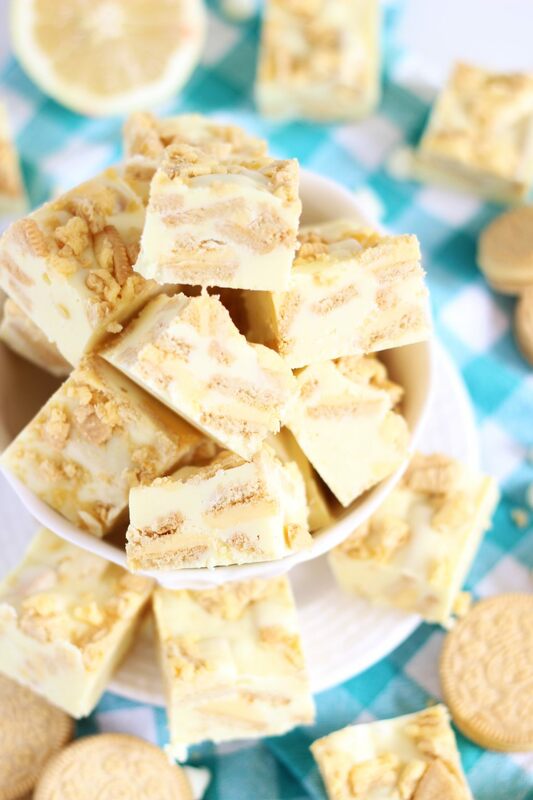 Chock-full of lemon zest, Lemon Oreo cookies, and white chocolate, it’s rich, creamy, and super lemony! 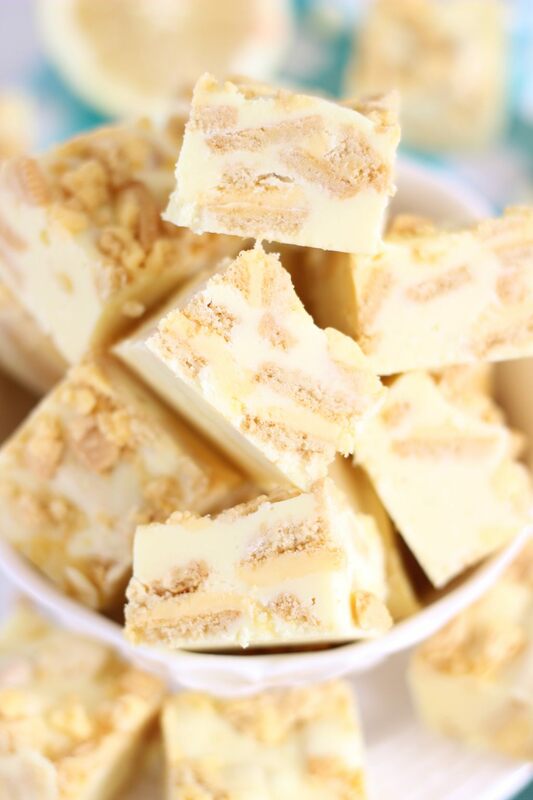 Just a few ingredients required for this fudge, and you are minutes away from enjoying it. It’s one of those slam-dunk recipes that you can turn to when you need to make a dessert, and you don’t have a lot of time. This comes together SO fast. Or, maybe you just have an insane sugar craving, and you need a quick fix. This is what you make. You need, like, 300 seconds-ish to prep this. 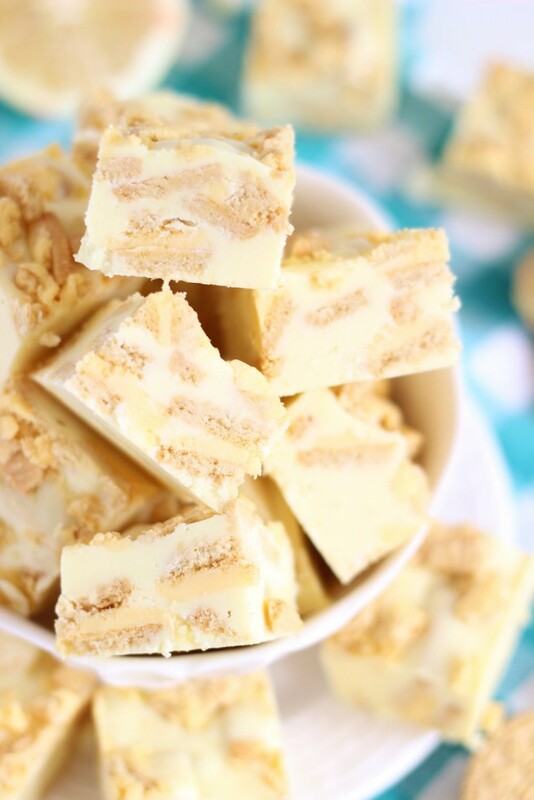 It tastes just like lemon cream pie in a fudge. It starts with cream cheese frosting, white chocolate chips, and a little butter as its base, melted together until smooth. It’s rich and creamy, and full of flavor just between those ingredients. 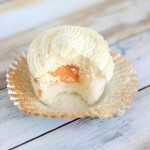 Think about how amazing that sounds: cream cheese frosting and white chocolate chips…. you’ll want to grab a spoon and dive in, but try to restrain yourself. We’re building on this. Stir in fresh lemon zest, lemon extract, and a ton of crushed Lemon Oreos, and you get lots of lemon flavor! 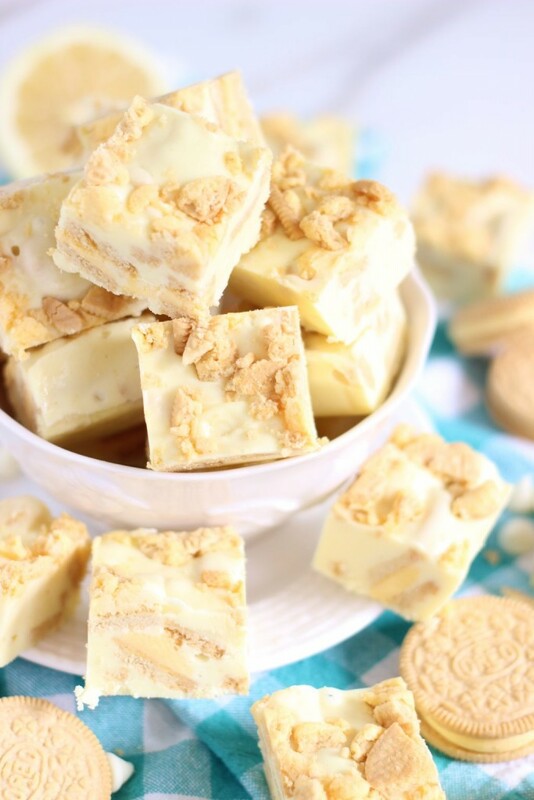 The lemon filling of the cookies adds a whole other level of flavor and creaminess to the fudge, and the cookies themselves add a nice bit of crunch. Every time I make a new fudge recipe, I say it’s my favorite of the bunch. 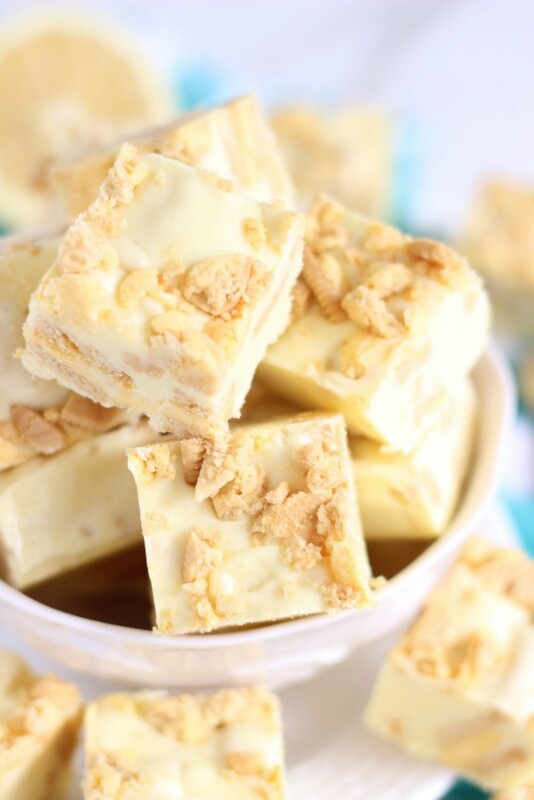 So I’ll spare you from saying that again, but this Lemon Cream Pie Fudge absolutely ties for first place with my Pina Colada Fudge. Stir in lemon extract and lemon zest. Fold in the chopped Lemon Oreo cookies. Sprinkle with cookie crumbs, if any remain. 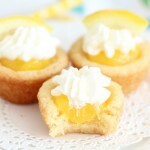 I love lemon cream pie – these look and sound so good!! Thanks for sharing on the What’s for Dinner link up! 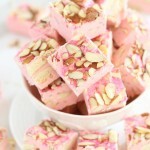 I love fudge and this version sounds really delicious! Thanks so much for sharing with us at Share The Wealth Sunday! his looks SO good! I didn’t even know they had lemon Oreos?! I need to try! The Lemon Oreos are great!! I’ve pinned it, but I’m going to forget about it now because something that great sounding should not be made available to me so quickly! 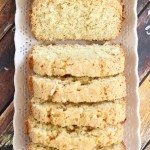 😉 Thank you for linking up to last week’s Tasty Tuesday linky! I’ve pinned your recipes to the Tasty Tuesday Pinterest board and hope that you’ll join us again this week. Oh what a wonderful sounding recipe for fudge. Thanks for sharing with us at Throwback Thursday! Pinned and shared. 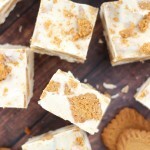 It’s like a lemon coookies and cream ice-cream without the cold! Yum! I love fudge! This recipe sounds especially delicious and unique! 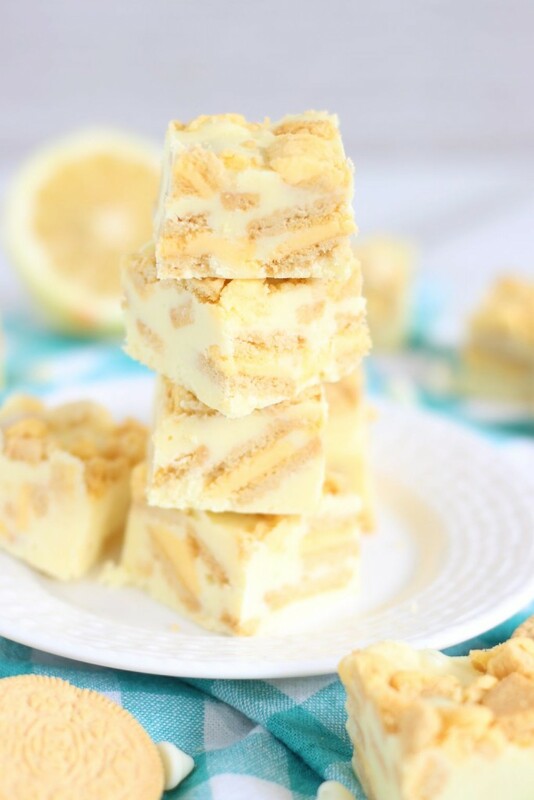 I’ve never heard of a lemon fudge, but this sounds so sophisticated. Can’t wait to try it at a party we’re throwing this weeked. Congrats, you’re feature this week at the #ThisIsHowWeRoll Link Party. 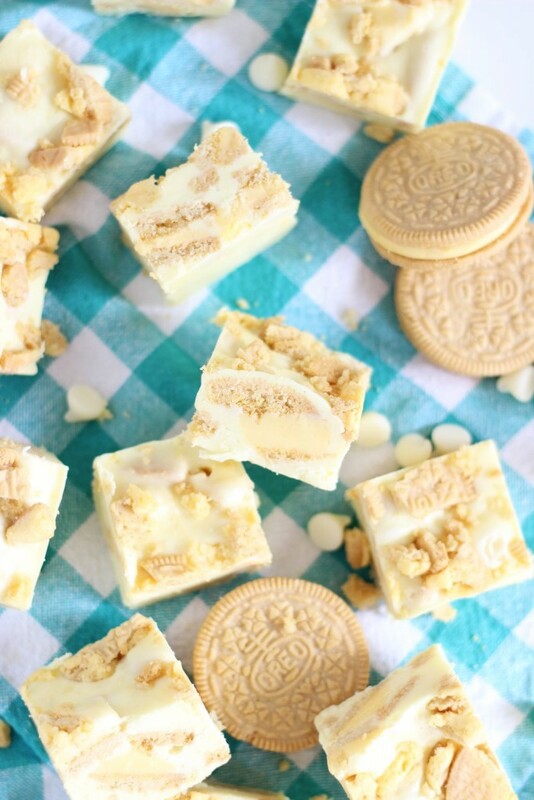 I haven’t tried lemon Oreos, but this fudge sounds delicious. This is the perfect summer treat! Congrats on being featured in the #ThisIsHowWeRoll link party! The Lemon Oreos are lovely!